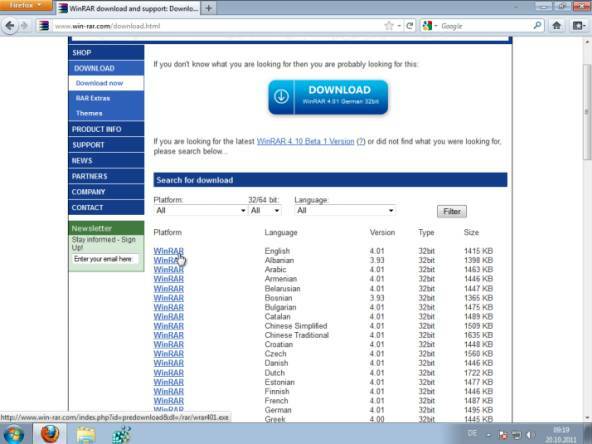 Double-click the downloaded file and click Install on the appearing window. The next window displays WinRar's configuration. The checkbox-filled panel on the left determines which formats your computer is supposed to open with WinRar. 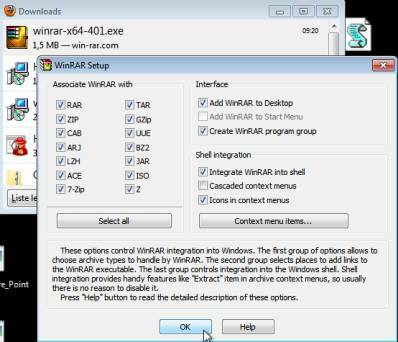 Usually all predefined settings should be alright, so click on OK.
Uncompress files associated with WinRar by double-clicking them and drag-and-dropping its content anywhere on the screen or clicking on Extract To and choosing the target directory. To compress files, just select the ones you want, right-click them and choose to either compress them to a .rar archive immediately or to add them to another archive (.zip or whatever you want) with more detailed options.